2018 July « God is Good! 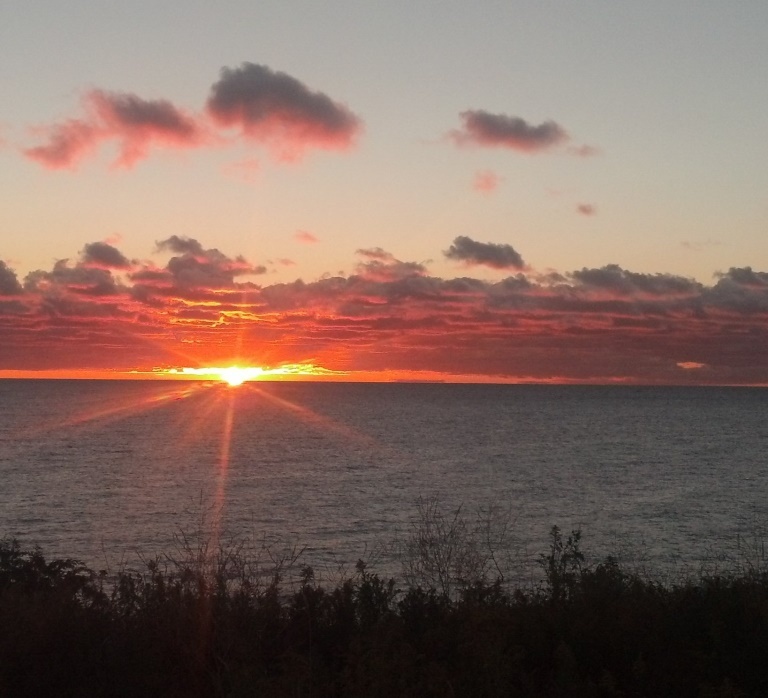 A new day dawns as the sun rises over Lake Michigan. What will you do with this opportunity? One night in the hospital, the sick man heard the dreaded news from his doctor, “You only have a short time to live.” Through the long, dark hours of the night, the man wrestled with many conflicting thoughts of how he had used his life and how he wished he had a little more time for things he wanted to do for his loved ones. The next morning the doctor spoke to him, “We were mistaken. You are fine, you are going to live!” With a loud shout of joy the “sick” man almost jumped out of his bed. Suddenly life took on a rosy hue. His ears picked up the sound of voices down the corridor and the chirp of birds outside his window. He was going to live! He wanted to climb out on the hospital roof and shout to the entire neighborhood, “I AM GOING TO LIVE!” The splendid gift he had taken for granted up until the night before, now was suddenly seen in all its beauty and preciousness. He would never be the same again. This true story made a lasting impression on me. I made a resolution to fall in love with life. We take each dawn for granted and look upon the day ahead as another hurdle to be leaped over. Instead, how worthwhile to see the dawning day as a precious gift from the Lord. We are to fill the day with an enjoyment of all its simple happenings, the sound of the voices of our loved ones, the constantly changing scene of nature, the sky, the flight of birds. Like the sick man given a reprieve from death, we ought to want to shout to all the community, “I’M GOING TO LIVE!” Why so many gloom faces on the streets? Because conditions are not perfect, these people gifted with life shrug off its value and choose to be morose and dispirited. The daily trials of life have blinded them to the privilege of what it means to be a “living” person. Pretend you thought you had little chance to survive. Pretend you hear someone say, “You are going to live!” Would your life be the same humdrum experience you might find it to be at the present moment? Face the day in a positive way, telling yourself that you will use every happening of the day as a stepping stone to new growth in personality and character. In my 27 trips to Jerusalem, I have frequently witnessed the beginning of the Sabbath at sun-down on Friday evenings. A startling change came over the whole city, with buses, taxis and traffic disappearing from the streets. Without exception, all shops and factories closed down until sunset on Saturday evening, the end of the Sabbath. A peaceful silence, a stillness, fell upon the deserted boulevards. 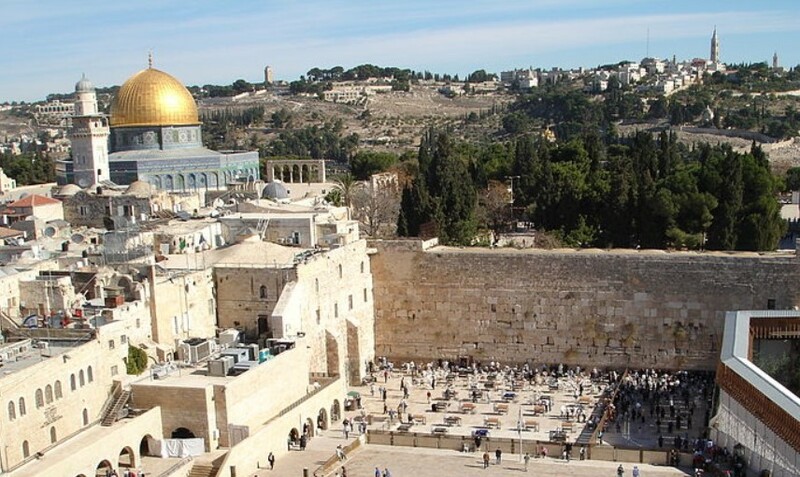 On Friday evenings, from my position outside the walls of the Old City, I saw wave after wave of Jewish Sabbath-Keepers, in the thousands, walking up a steep hill, on a six-lane highway, towards the Old City, on their way to the Wailing Wall. Dressed in their best and in a somber mood, these religious people would begin their Sabbath with prayers at this Holy Place, located in the Jewish Quarter of the Old City. The Jews consider the Wailing Wall to be the West Wall of the Temple from the time of Christ. After these experiences, I would come home to the USA with a desire to give more attention to my personal celebration of the Christian Sabbath held on Sundays. God rested on the 7th day, not because He needed this, but rather to give us a message . . . “Give yourselves a rest from the busyness of life and think of Me”. . . In our culture, we have no hope of imitating the Sabbath of Jerusalem in regard to shutting down all activities. However, as individuals, we can bring everything to a halt in our hearts and spirit; in peace we can pass the day! The Sunday Sabbath rest gives us a chance to think of what we are doing with out lives. 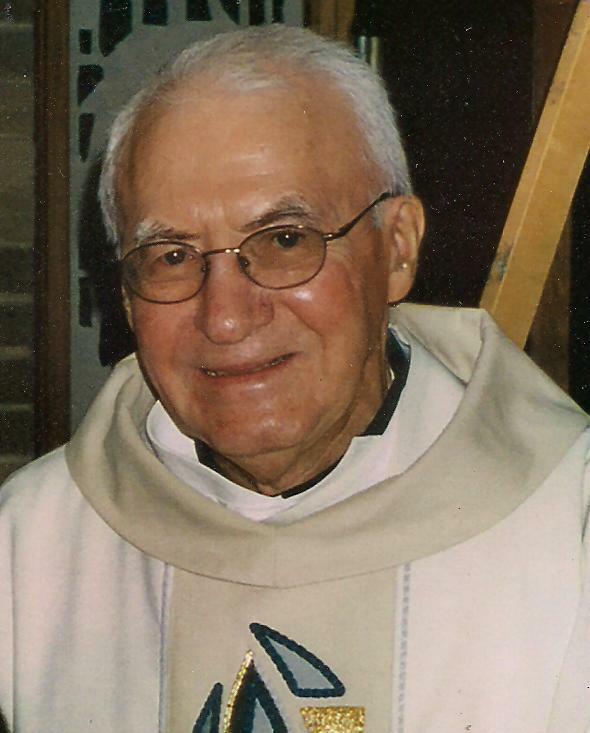 A good beginning finds us worshipping God at Mass and receiving His Sacred Body and Blood. Avoid shopping on this Special Day! Manual work, like washing clothes, housework, and cutting the grass will pull us away from the spirit of the day! We meet with family needs, but we reserve some private time for ourselves. Look forward with delight to the Sabbath! Lots of love and laughter. In our solitude, prayer and reading the Bible, a quiet thinking of the ideals of Christ, even writing some of our thoughts in our journal can give a rewarding Sabbath time. Sabbath-Keepers will spend this time in quiet joy. In the Gospels, the writers tell us of Jesus retreating to the mountain tops for prayer. He felt a desperate need to commune with His Heavenly Father for success in His Work! He kept the Sabbath by attending the synagogue services. We can learn from Jesus by setting aside time each Sunday to pray like He did.